the brainhub | Technologies is one of the leading and reliable bulk sms service provider in Karnal. We offers various SMS services like Transactional bulk sms, Promotional bulk sms, voice sms in your city Karnal. Many organizations, companies have used our sms services with multiple gateway and they are 100% satisfied with our services. For sending sms there is no requirement for any mobile device rather, you can send sms using your personal computer. Just an internet connection is required to send sms via internet. Thus sometimes this message service is called web sms service. Our powerful technology platform can handle all your business needs and our API's are easy to integrate with your IT applications. Great solution to broadcast critical updates, automate customer feedback collection and to conduct polls. The SMS here can be send with the Alphabet or numeric sender ID, (As per TRAI norms). Different customize messages to various mobiles can be send in a single click. You can use your own Excel or notepad files to customize your messages. 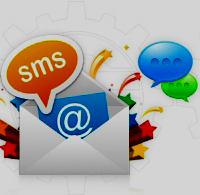 There is no need to attach any phone / SIM or download / configure any software to send Bulk SMS. 'the brainhub | TECHNOLOGIES' Bulk messaging service follow global data security standards and offer a trusted environment specializes as a quick communicator, high delivery rate with multiple reties, Group Messaging, Annual scheduling phone book, upload and download directly from the desktop and delivery status reports makes the system more friendly. 5 Digit Short code and 10 Digit VMN (Virtual Mobile numbers) seems to be the barometer for popularity. Now a day’s these services are effective tool to engage clients on mobile platform. 'the brainhub | TECHNOLOGIES' is one of the leading player (in Karnal, Haryana) in Enterprise grade Messaging. Web-client interface to send single / bulk SMS with useful features like address book, log summary reports and credit check. To know how we can assist you for your software and website development, feel free to contact us. Call: +91-925-401-2223 Email: contact@thebrainhub.com Click here to login to your SMS Control Panel. Copyright © 2015 "the brainhub | TECHNOLOGIES". All Rights Reserved.